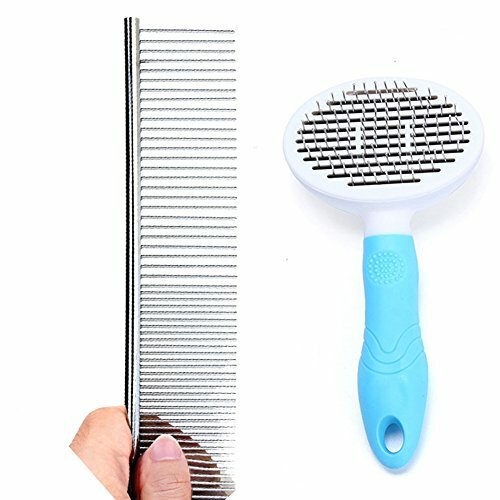 [UNIQUE SELF-CLEANING DESIGN]Self-cleaning button, remove the fallen hair fast and clean, save time and prolong life. [UNIQUE ROUND HEAD DESIGN]Massage the skin, promote skin blood circulation, relieve fatigue, keep your pets healthy. [HANDLE HOLE]Exquisite holes, can be hang up after using, easy to use and save space. [MULTI-FUNCTION]Simple design, different density, suitable for different parts, easy to manage.